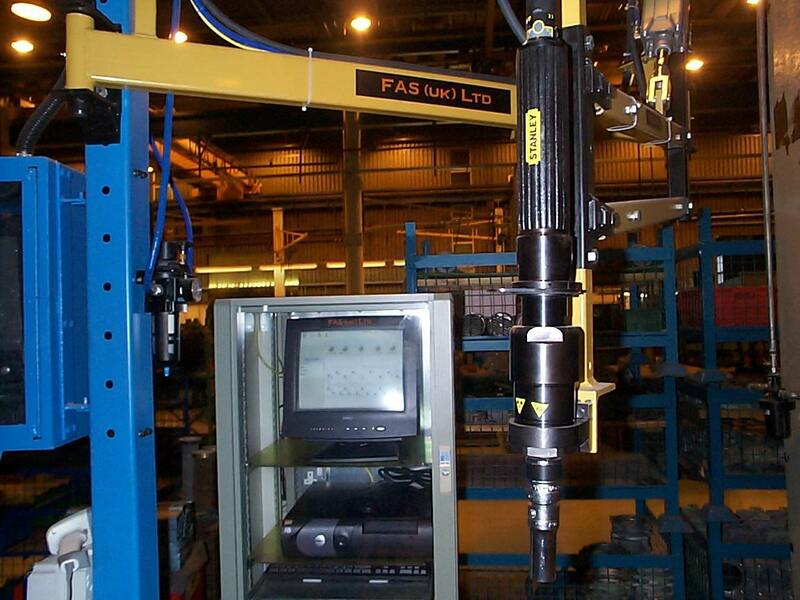 The system is designed to carry out accurate fastening of cylinder head bolts with a single tool used by one operator over a sequenced fastening cycle. The engine is interlocked into station, the build card is scanned and a socket select system clearly shows the correct socket to be used. A PC screen layout of the cylinder head bolts is displayed, with the next bolt in the fastening sequence clearly identified. The tool position is tracked by the system and is shown on the display. 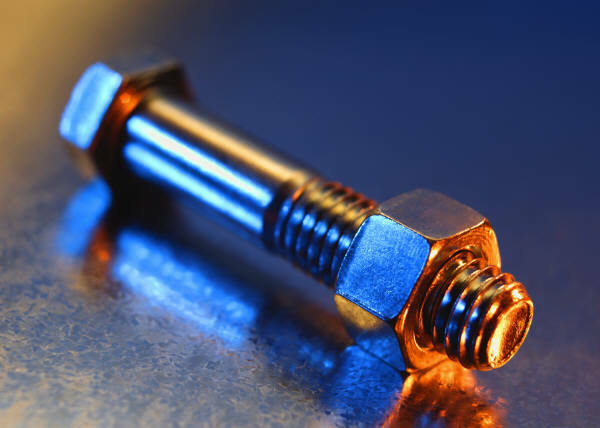 Once the tool is in the correct position over the correct bolt, it is enabled and the bolt can be fastened to the correct torque and angle setting. The tool will only be enabled once all the control conditions are met. Once the bolt has achieved a successful fastening cycle the tool is disabled, the system shows the next bolt in the fastening sequence, if a different socket is required this is clearly shown. The tool can now be positioned to the next bolt and so on until all the head bolts are secured for that particular fastening stage. 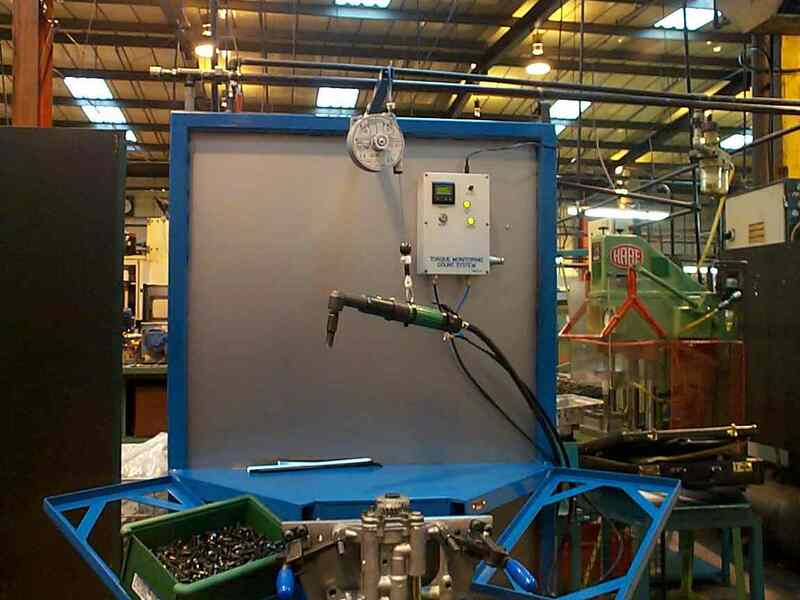 Once all bolts are secured the system automatically changes the torque setting for any further stages. Should any individual bolts require a different setting the system identifies them by their position and automatically selects the correct setting. Once an engine has successfully completed a cylinder head the interlock is released and the engine can be removed from the work station. This system is currently configured for 5 different engine types and can be configured for many more. The same type of system is currently utilised on Main Bearing and Con-Rod assembly areas for 5 different engine types. Based on the success of these systems another complete system has recently been installed.